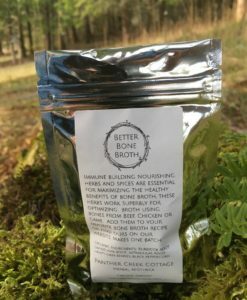 Here is the secret to a more nourishing bone broth, a nutritious staple that is a part of our heritage passed down through generations of humankind, the foundation of any broth, soup or stew worth it’s salt! 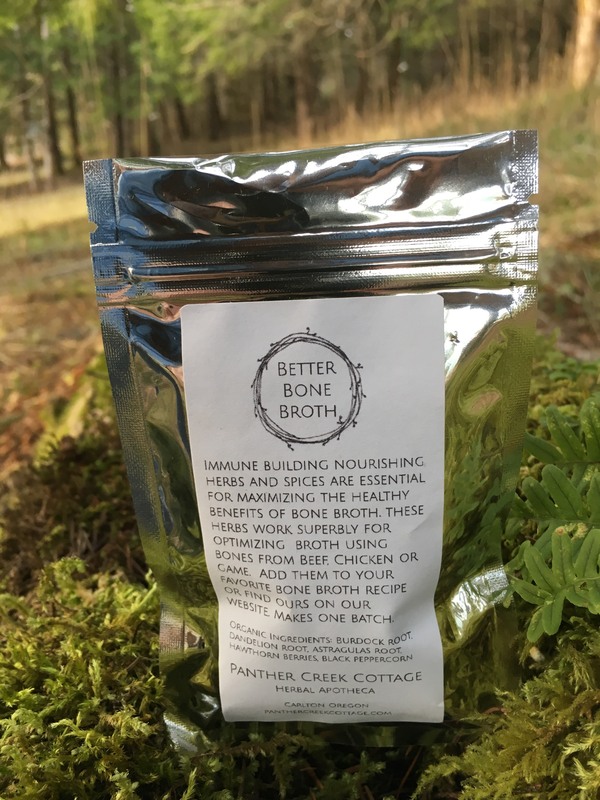 Our Better Bone Broth packs contain a powerhouse of organic body building herbs that maximize the nutrient value and healthy benefits of your bone broth. 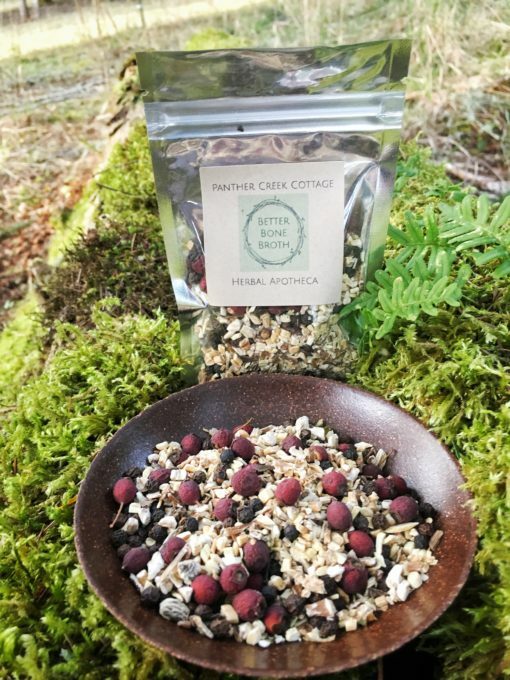 Astragalus root is an adaptogenic herb that helps the body adapt to everyday stresses, an immune system builder revered in Chinese medicine for thousands of years. Burdock root and Dandelion root are rich in minerals that support and nourish body function. 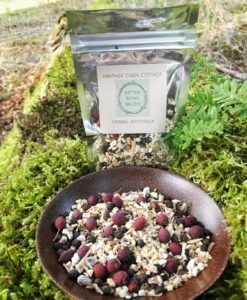 Hawthorn berries support the cardiovascular system. The warming energetics of the most commonly used herb, Black Pepper, synergizes the other herbs for maximum absorption of nutrients. Each pack of our Better Bone Broth yields one batch of superior broth. Included is our recipe to make a bone broth that is naturally high in calcium, magnesium, phosphorous, chondroitin, and glucosamine. You can also find our recipe on our blog too! This information is for educational purposes only, is not intended to diagnose, treat, cure, or prevent any disease and has not been evaluated by the Food and Drug administration.